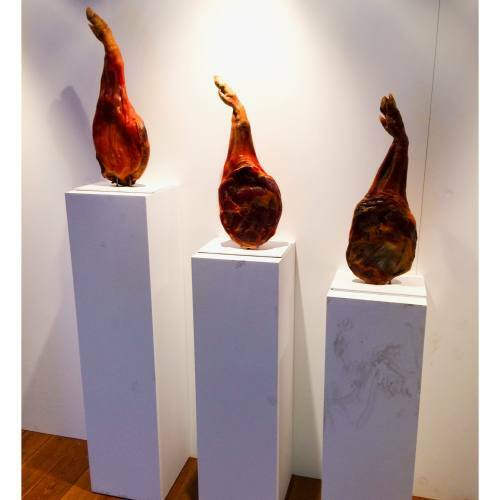 An art exhibition for dogs? 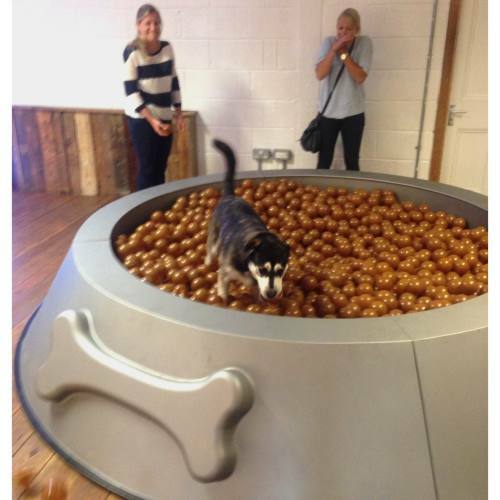 There was an exciting event in the canine calendar on 20th-21st August. 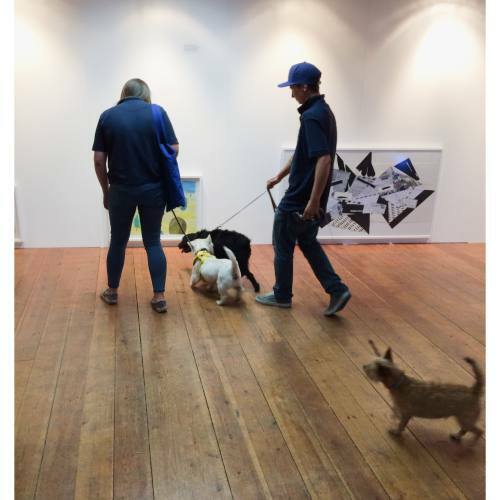 The first ever contemporary art exhibition for dogs. You don't have to be an art aficionado to find the title intriguing. I couldn't resist a trip to find out more. The South London exhibition was designed by British artist and inventor Dominic Wilcox, featuring a variety of interactive installations and paintings created specifically for our four-legged friends. 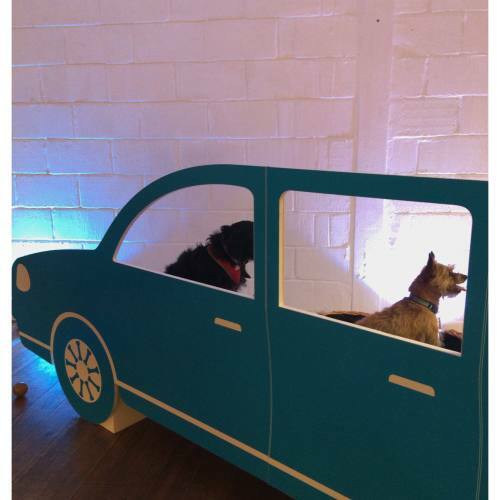 From a dog bowl-shaped ball pool to an open car window simulator, Wilcox aimed to encourage us to spend more time playing with our pets and to have lots of fun while doing it! 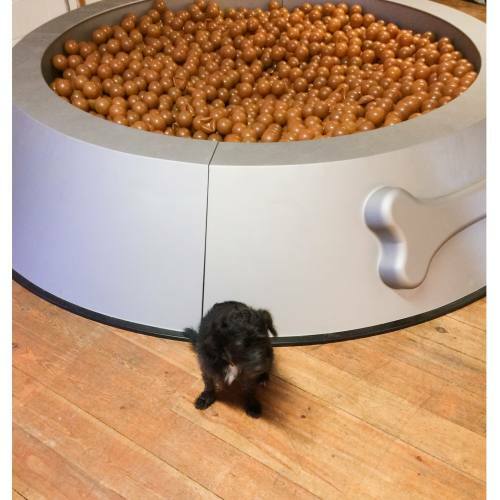 Luna couldn't decide which ball in the supersized dog bowl was most appealing. One ambitious pup had tried to scale the column for the ultimate feed. Bad news, their paw prints gave them away. Little Stan, somewhat dwarfed by the dog bowl, didn't fancy a dip. 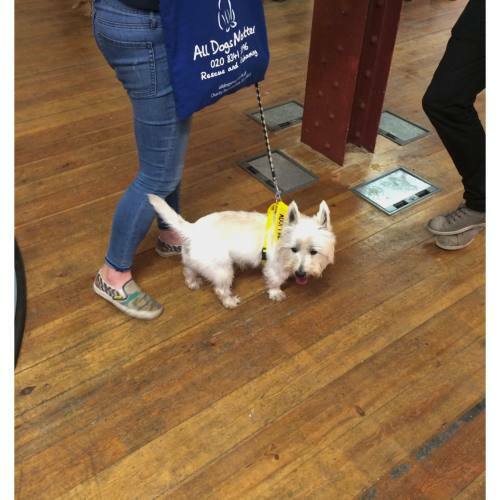 Dogs on a day trip from All Dog Matters, a charity helping to rescue and rehome dogs in and around London, sat obediently for their photo. If you're an owner of a rescue dog you can find out more about our rescue dog insurance group here. Scooby and Lady were eager to check out the contemporary paintings. Erol hung back unconvinced. Clearly a champion of more traditional pieces. Gorgeous Scooby from All Dogs Matter attended the event seeking artistic enlightenment and a new owner. Did you check out the Play More exhibition? Let us know what you thought! We deserve all dog owners deserve a great deal on their insurance. You can see our full list of pet insurance groups, and add your voice to our mission to make insurance fairer for everyone!